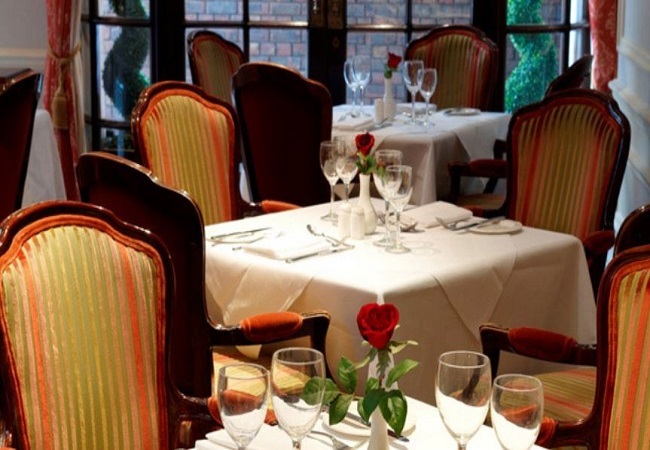 In the heart of London&apos;s celebrated Mayfair district, the stylish Stanhope Restaurant is ideal for many occasions, such as business lunches, romantic dinners or even pre-theatre appetisers! Open for breakfast, lunch and dinner in the Park Lane Mews Hotel, the restaurant can offer you a selection of modern European meals from a succulent menu. These can also be complemented by a choice from the restaurant&apos;s range of fine wines. Prepared by the talented chef, the fine cuisine will be served to you, whilst you enjoy the restaurant&apos;s intimate and relaxing atmosphere.